There will be no property tax increase for residents of Butler County after voters voted against it today. The property tax increase being proposed was expected to cost the average Butler County resident an extra $3.75 per month and would have brought property taxes for residents up to near the average for the state. The Butler County School system ranks 132 out of 137 school districts in Alabama in terms of local funding support. Dr. John Strycker, the Butler County Schools Superintendent, has stated that should the vote fail they would try to find funding elsewhere. This is the second time in the last week that voters have turned down property tax increases for schools. 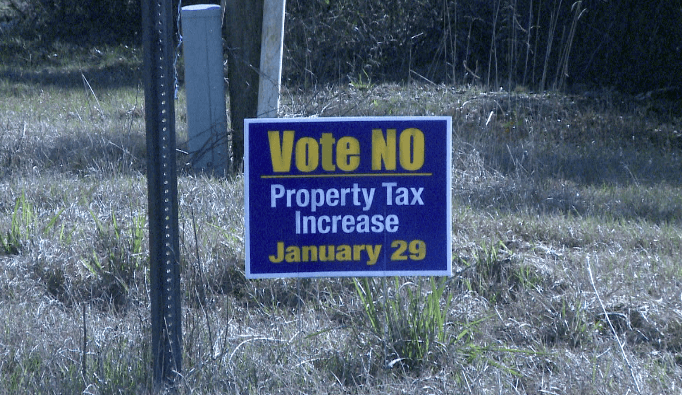 Leeds voted against increasing their property taxes 7 days ago.